At some point, we began to focus on transcoding. The web is full of questions on how to play any video or audio file on iPhone, iPad or Android device. I'm also the same. I have a long search for the best solutions to convert my videos to some formats compatible with my handheld devices and also have tried so many related file format converters. And today I’m happy to share you two best video file converter software I use for quite a long time and work the best among plenty of similar tools. Format Factory is my top choice for free video converter. It’s a multifunctional media program. It supports almost all video format including MP4, AVI, 3GP, RMVB, MOV, FLV, etc and audio formats like MP3, WMA, APE, FLAC, AAC and more. Apart from that, it enables you to convert between image common formats, merge video and audio files as well as rip some protected DVDs. Meanwhile, you are able to do some editing functions like watermarking, trimming, rotating and inputting subtitles. Cons: Can’t save presets; Interface is non-linear and somewhat confusing; Don’t support the latest device like iPhone 5S, iPad Air, Nokia Lumia, etc; Can’t download online video. Here comes the second best video file converter – Any Video Converter. The program name actually says it all. 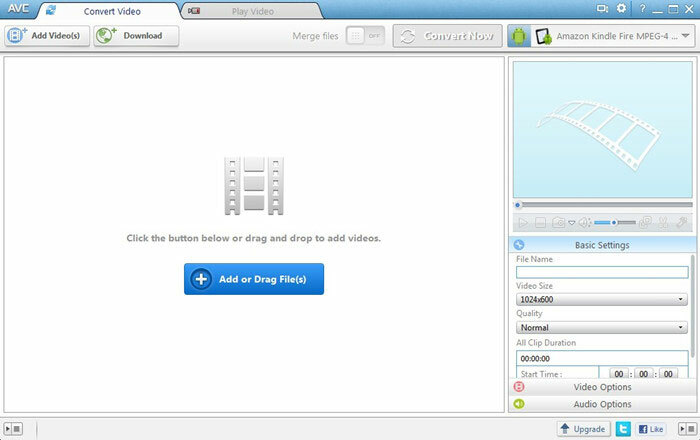 Any Video Converter freeware is very easy-to-use conversion software which has an understandable interface and lets you directly drag your videos to the program at one time. It supports batch mode but can only convert up to 5 files. Besides, with it, you can simply record your favorite output format or device for future use. And this program also supports you to download YouTube and Google video by copying and pasting the URL or by dragging URL to it. Cons: The conversion speed is somewhat slow; Don’t support the latest device; Video and audio settings are complex and many are useless, for example, the sample rate choice starts from 8KHz and frame rate from 8FPS which is no good for high video audio quality; When a file is converted, a window will pop up telling you to buy its ultimate version. You must find that the two free file format converters mentioned above are with varying degrees of flaws. If you want to find a better one, you can turn to WonderFox DVD Video Converter which will fully meet your different requirements. It’s the best Any Video Converter alternative and Format Factory alternative. You can download it to have a try. 1. Ease of Use: It’s very easy to perform basic tasks with a user friendly interface even if you don’t have much experience. 2. Input and Output Format. It supports you to convert between any video formats including the common files like MP4, AVI, MOV as well as FLV, SWF and 3GP. 3. Fast Conversion Speed and High-quality of Output Video. 4. Functional capability to adjust the parameter settings to meet users' various demands for output video effect. 5. Safe Conversion Process and Extra Features: It will do no harm to your phone or PC with any viruses. Meanwhile it has extra functions like video editing and DVD previewing as well as batch converting up to 10 files, which enables users to have much more fun. 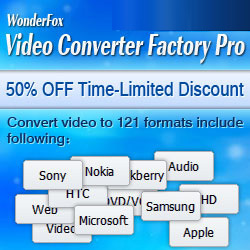 In general, WonderFox DVD Video Converter is more than a video converter. It also lets you rip protected DVDs including the latest encrypted DVDs like CSS protected DVDs, region 1-6 DVDs, Disney DVDs, etc. Moreover, you are able to download online videos from YouTube, Facebook, Vimeo, Metacafe, LiveLeak and any more. If you want to rip DVD for free, please turn to this post on 2 best free DVD ripper software.